The spring cleaning which we provide will prepare your property for the coming of the warm season. If you want to welcome the first warm days of the spring season in a clean home, use our professional services. They include cleaning of all the rooms in a property: kitchen, living room, bedroom, hallway, bathroom, dining room and others. The cleaners in the company use only biodegradable cleaning products and modern machines for better results. 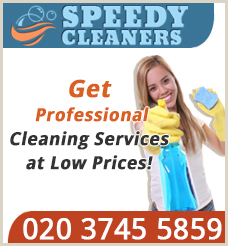 Rely on them to provide the spring cleaning which you need in your property, available in London. Call us, send an e-mail or use our online booking form to schedule your spring cleaning. If you need full and thorough cleaning of your house, property for rent or other estate, use our professional spring cleaning. In it we can include the sanitizing of your attic, basement and garden areas if you prefer. The cleaning staff use modern and effective vacuum, steam cleaning machines and non-toxic detergents. They will ensure you thoroughly and well sanitized rooms and areas in your property. You can expect excellent results of our spring cleaning, available in London from Monday to Sunday. Call us and get your individual quote responding to your needs. The cleaning will be started and completed in the previously planned time. Get in touch with our phone operators to make an appointment with our cleaning staff. You can use the affordable and professional spring cleaning which we provide to ensure the hygienic condition of your domestic and commercial estate. The furniture, windows, electrical and cooking appliances will be sanitized and brought into flawless condition. The cleaners can take care of the cleanness of your property in a fast and professional manner. They use modern cleaning equipment which guarantees thoroughly and well cleaned rooms. Fell free to call us and speak with our representatives if you need additional information or help. Our customer support centre works every day of the week and is at your disposal at any time. Use our great spring cleaning services which we provide in and near London and you will certainly be pleased with the results. The cleaning is done by qualified and experienced staff at the preferred by the customer day and time. Call us and speak with our representatives to schedule the spring cleaning which you need. It will be done according to your requirements and at a reasonable price.